Here’s the latest installment of an escalating disinformation campaign to “acclimate” the populace to the aerial spraying program under way for years in many parts of the world. An increasing number of articles with supposed scientists conjecturing “what if” scenarios where a whited sky by metallic particles “might” help mitigate global warming have appeared lately. This is also the second time the Daily Mail has published a chemtrail admission article claiming these spreading consistent chemical trails are some kind of natural phenomenon due to commercial jets and atmospheric conditions. They’ve never done this before the aerial bombardment of chemtrails started in the mid-90′s. I supposed they’ll blame it on “climate change” next, and wrap it up in a nice self-reinforcing package of pseudo-scientific BS. 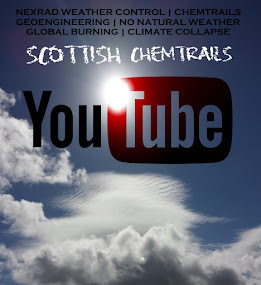 For those of us well aware of this ongoing poisoning of our skies this tripe is enough to make you sick, as lying, paid-off so called scientists lay out their lying propaganda without compunction. (Daily Mail) Like a giant game of crosses without the naughts, these incredible jet engine trails can be seen criss-crossing the Atlantic from space. NASA’s Terra satellite captured these two amazing images of aircraft trails, or ‘contrails’ as they are known, spreading across the sky off the coast of Newfoundland, Canada. The spectacular effect forms in the wake of passing aircraft due to the extra particles and water vapor contained in their exhaust. NASA said these it has observed these clusters of contrails lasting as long as 14 hours, though most get a shorter lifespan of four to six hours. Climate scientists are fascinated by long-lived, spreading contrails because they reflect sunlight and trap infrared radiation. A contrail in an otherwise clear sky reduces the amount of solar radiation that reaches Earth’s surface, while increasing the amount of infrared radiation absorbed by the atmosphere. 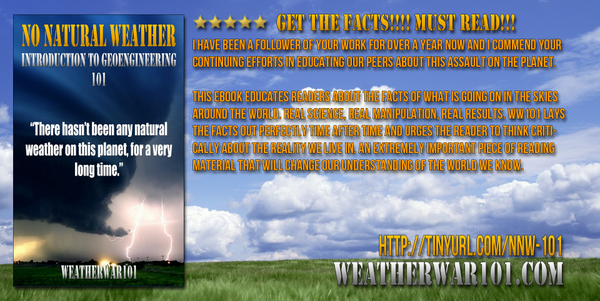 These opposing effects make it difficult for scientists to pin down the exact effect contrails have on climate. ‘Overall, contrails create additional cirrus cloud cover,’ said Patrick Minnis, a senior scientist at NASA’s Langley Research Center. What’s absurd is the treatment of the world’s population as complete morons. Worse yet is they get away with it. Why? People can’t bring themselves to think their government would do such a thing without their knowledge, so an alternate explanation is happily received. Apparently cause and effect aren’t our concern. It’s absurd. It’s all become absurd. May the wake up hit as many as it can. Let’s keep freedom of spirit ringing by speaking Truth.